A ribbon cutting 60 years in the making. 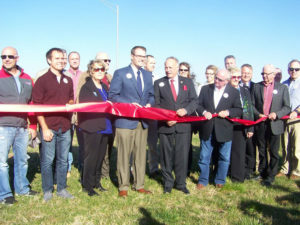 A ribbon cutting was held in Holstein Friday to mark the completion of the expansion of U.S. Highway 20 to a four-lane roadway that connects the eastern and western borders of Iowa. The final four-lane section of the highway was officially opened to traffic on Wednesday, marking the end of a vision for the corridor that was more than 60 years in the making. Charese Yanney of Sioux City pushed for the completion both as a Siouxland Chamber of Commerce member and later as a commissioner with the Iowa Department of Transportation. She says former Governor Terry Branstad pushed to get the final segment done. “Governor Branstad said he wanted to get it done by the end of his four-year term — that’s this year — and he worked hard to get the gas tax passed. And that’s the only way it got done,” Yanney says. 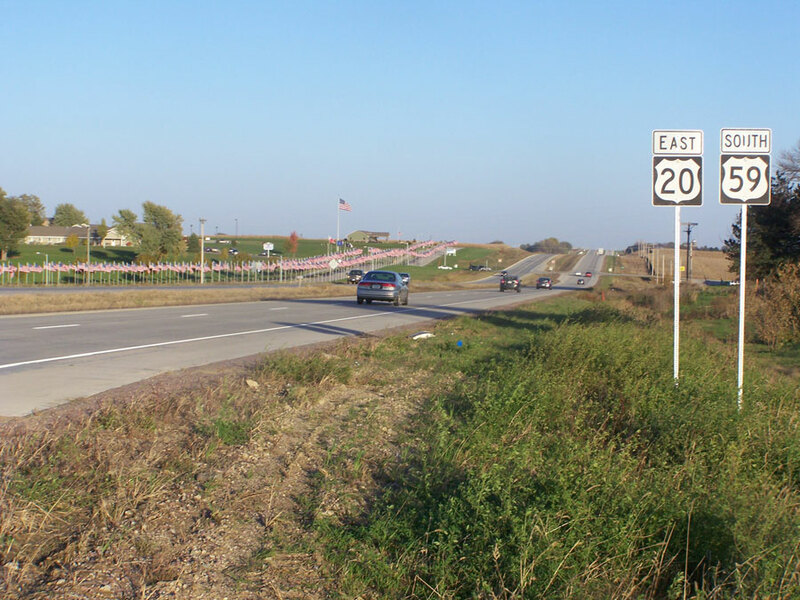 She recently drove Highway 20 from Sioux City to Waterloo as she made her way to Decorah. 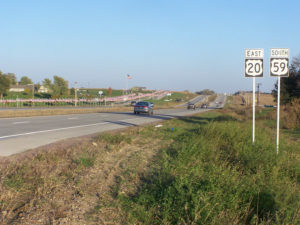 Highway 20 is now four lanes from west to east. “It was so nice to be able to travel all that distance across the state and be much more relaxed than I otherwise would have been,” according to Yanney. The project began in the 1950s with individual sections being completed on opposite sides of the state – one east of Moville, the other near Dubuque. The longest serving member of the Highway 20 Corridor Association David Ehler is also the former City Administrator of Holstein. “It is just hard to believe that it’s taken that long to build a very important road,” Ehler said. Phillips credits the association for figuring out the key to pushing ahead. “Either you get bitter or you get better, it’s that simple. And that’s exactly what we did as an association,” Phillipps says. “We got much better at presentations, connecting with the powers that be — whether they are federal or state — pleading the case for Highway 20, showing up in person — and frankly we just became more tenacious,” according to Phillipps. 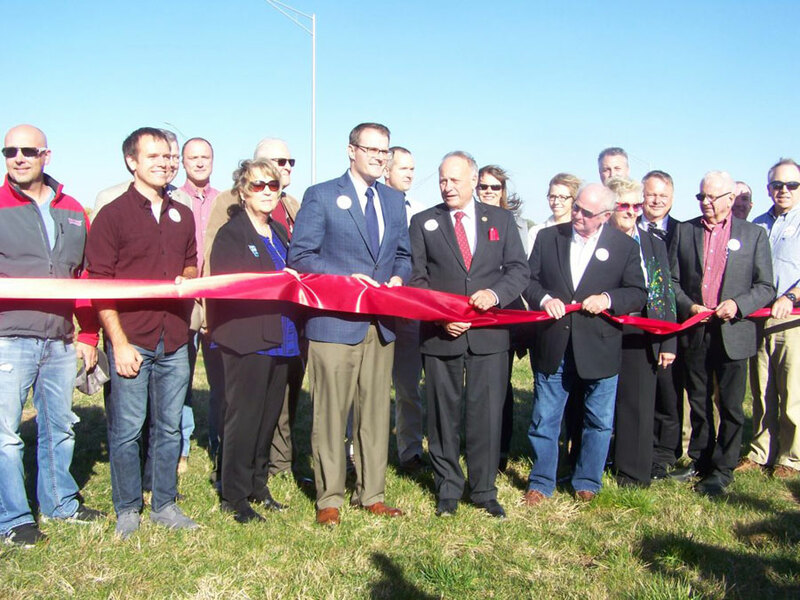 Lieutenant Governor Adam Gregg and Congressman Steve King were also on hand for the ribbon cutting.